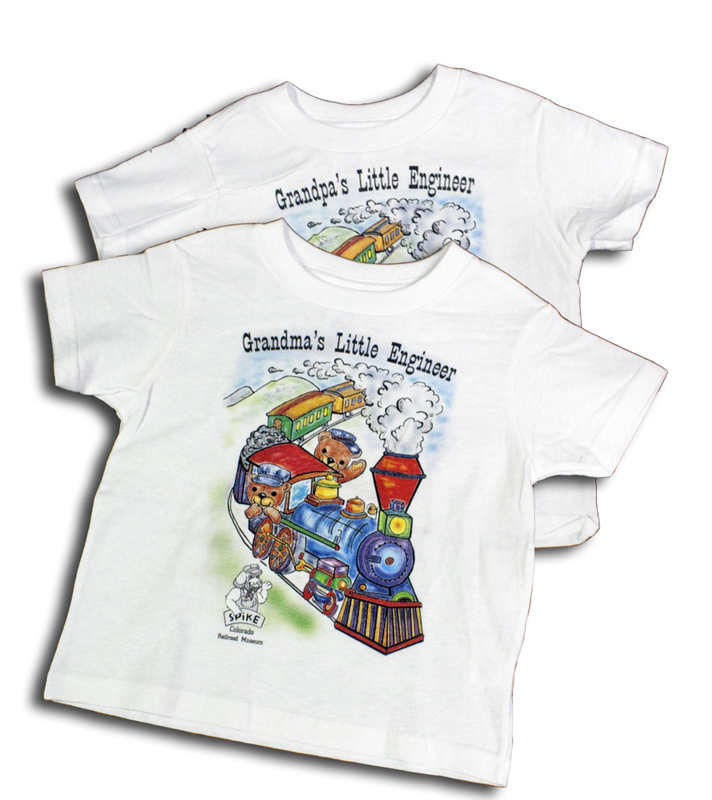 This adorable t-shirt has a fuzzy bear driving a classic style steam engine and the words "Grandma's Little Engineer." 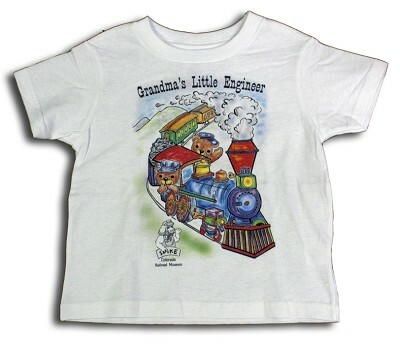 Spike the Railroad Hound, the Colorado Railroad Museum's mascot makes an appearance on the front of the shirt. 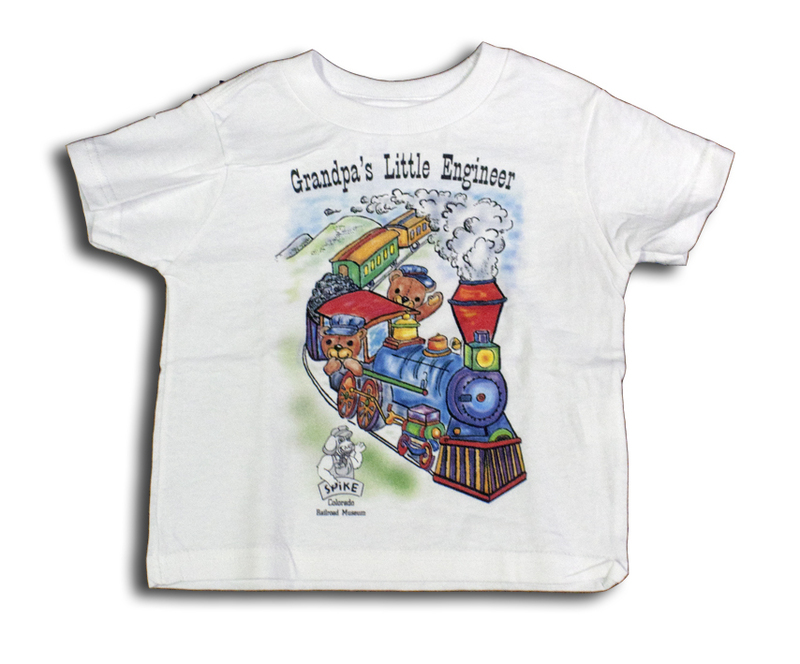 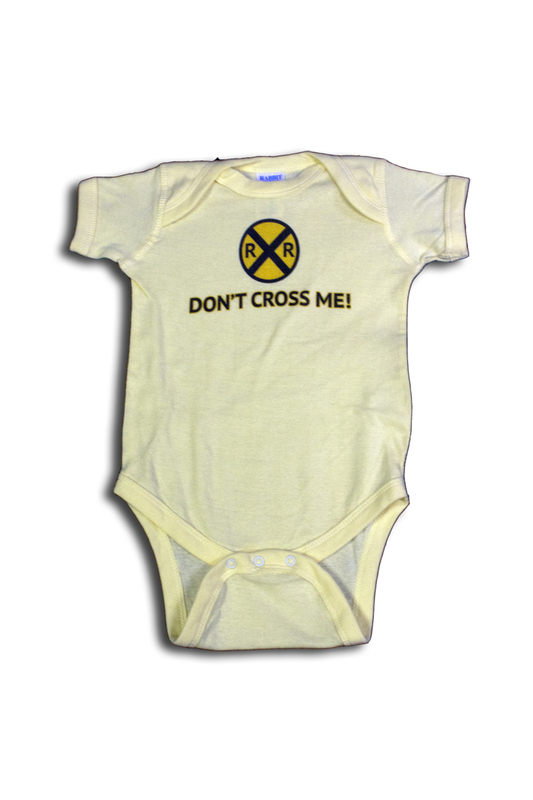 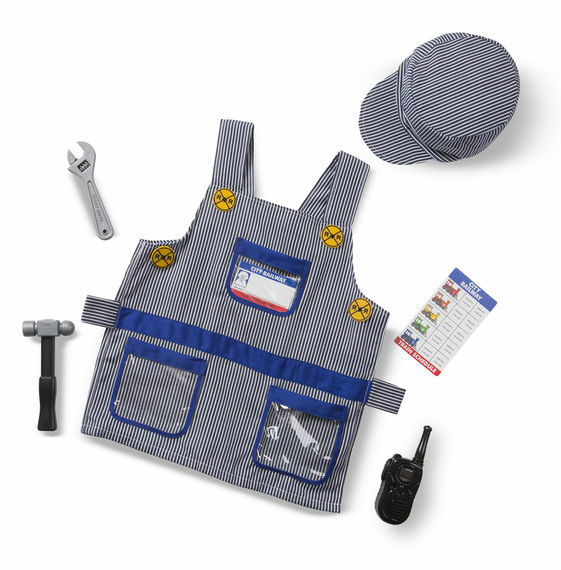 Also available in "Grandpa's Little Engineer" style.